Dog Ear Publishing releases “Carolyn Quimby” by Raymond Copp. A farm duck has a series of adventures in this new children’s chapter book released by Dog Ear Publishing. “Sometimes loving someone means you have to let them go…” For Carolyn Quimby, a white duck, life on the farm isn’t enough; instead, she dreams about flying with wind blowing through her feathers, even though everyone knows farm ducks can’t fly. This new chapter book features Carolyn and her friends who live on Farmer Wilson’s farm in a story filled with friendship and love. 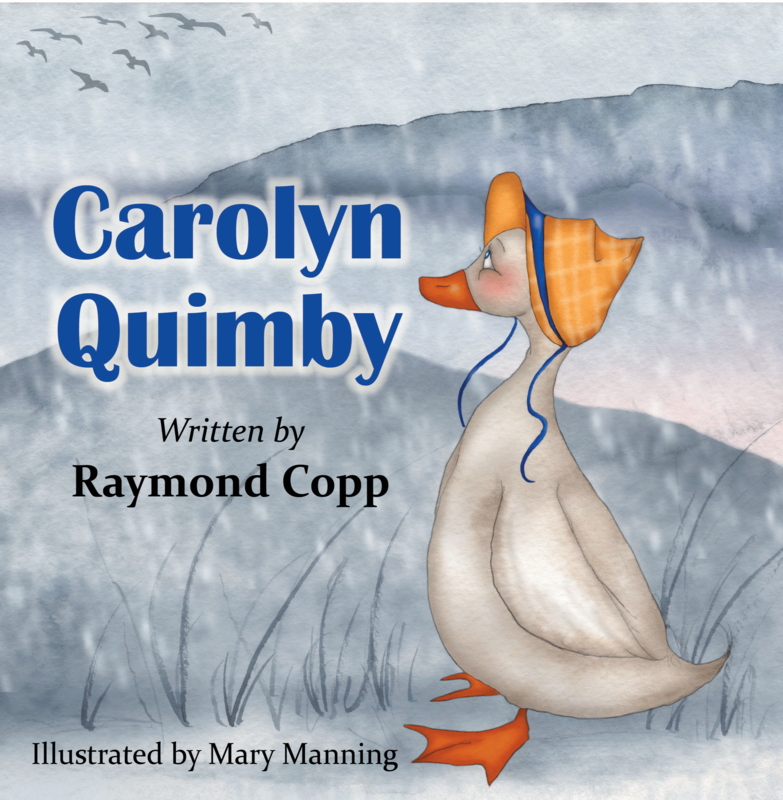 “Carolyn Quimby” stars a charming cast of characters, including Clomper, a Belgian draft horse who is the oldest animal living on the farm, and Professor Hopatoadalopolos, a wise toad who lives in Trickling Brook and is rumored to be older than the farm itself. After mallard ducks visit the farm’s pond, Carolyn is given a surprising invention that might help her achieve her dream. Her father, Peanuts Quimby, had his own flying adventure, thanks to a traveling circus. A daring rescue from hunting dogs, a kitchen visit that creates havoc and new friends for the farm bring excitement to all who live there. It’s not until she faces loss, however, that Carolyn will find the courage to act on her dream and learn how to fly. Whimsical watercolor illustrations by Mary Manning bring the characters to life, showing clearly the bonds of friendship they share. Author Raymond Copp is a clinical psychologist specializing in Post Traumatic Stress Disorder. Copp, who had a 30-year career in law enforcement, also serves as a battalion chaplain with the Maryland Army National Guard. He became a Catholic priest after 9-11. Copp has written eight children’s picture and chapter books as well as poetry. For additional information, please visit www.blackwatchbooks.com. 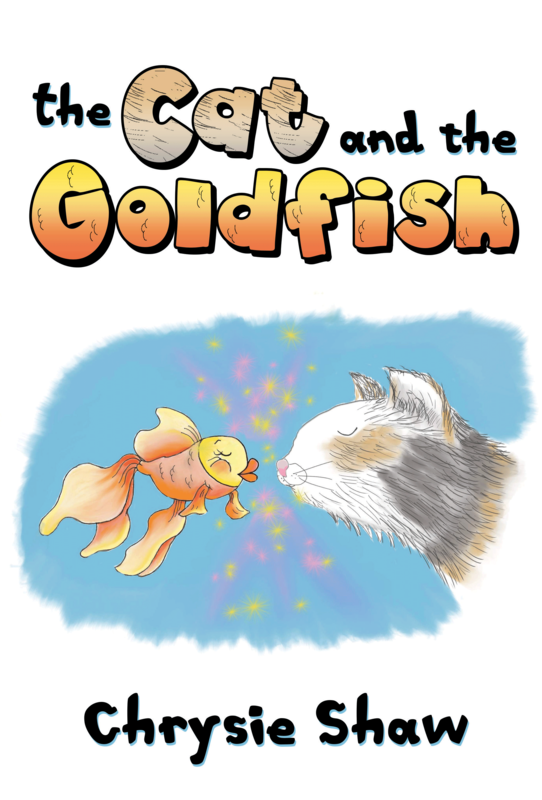 Dog Ear Publishing releases “The Cat and the Goldfish” by Chrysie Shaw. A dip in a fish pond leads to a surprising encounter in this new children’s book released by Dog Ear Publishing. When a pretty little calico cat with a funny-sounding voice takes part in a magical adventure, anything can happen. Sasquatch, who stars in this new illustrated children’s book, loves to sit by the fish pond and look at the fish swimming below the pink water lilies. When she gets too close to the edge one day and falls in, she has the surprise of her life when she turns into a mercat and encounters a talking goldfish. What happens next will change her life. “The Cat and the Goldfish” features a whimsical, magical tale about Sasquatch, a real-life cat who arrived at the author’s home as a tiny kitten. Sasquatch, who has a gray coat with patches of tan and white on her face, paws and tummy, is just as much a character and happy cat as the fictional cat who frolics in the pond. Colorful cartoon illustrations by Kezzia Crossley add to the appeal of the book. It’s geared toward 5- to 8-year-olds but also works well as a read-aloud story for adults to share with children. Author Chrysie Shaw is a longtime animal lover, having grown up in southeastern Montana surrounded by animals. She worked for almost 30 years as a registered nurse before retiring. Shaw now lives near the Rocky Mountains in southern Colorado, once again surrounded by animals. Kezzia Crossley, a freelance illustrator, lives in British Columbia, Canada. For additional information, please visit www.thecatandthegoldfish.com.